Silvia Ceñal has designed the Bi Silla chair for manufacturer Two Six. The stylish and comfortable chair can be used in a lobby or waiting room and thanks to its symmetry can be configured to adapt to different spaces. 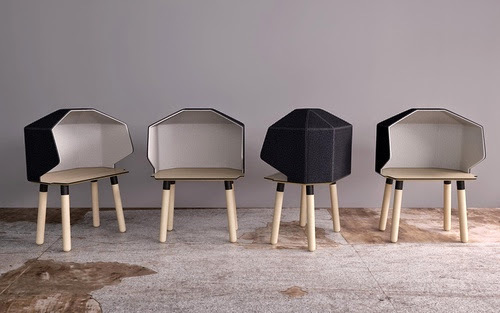 Like an updated version of desks founding libraries, the Hoodie by Koskela is a desktop screening device that provides both visual and acoustic privacy. 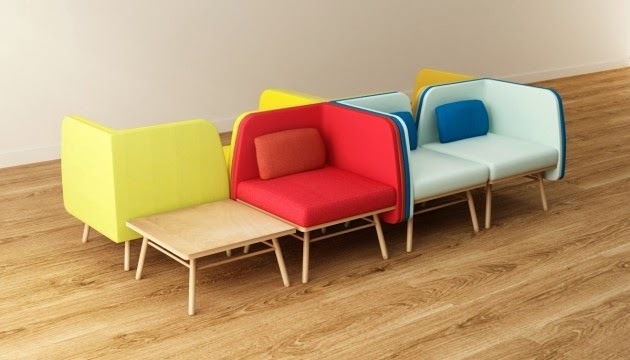 It is designed to delineate personal space within a collaborative workplace by isolating the user while still allowing optional contact with a group. There are two iterations: a desktop version which consists of a portable geometric dome top that can be placed on any work surface and the fully-realised work module (pictured above and after the jump) featuring rounded legs that support a wooden desk. As Koskela's goal is to become a completely carbon-neutral business, the Hoodie was designed to have minimal impact on the environment being made as it is from sustainable timber and water-based glues in local factories by Australian crafts people. The winner of a 2013 IDEA Award, the Hoodie was designed to stand alone or be grouped in clusters, and features optional add-ons like internal shelves, data boxes and LED lighting. It comes in a variety of upholstery colours and finishes. 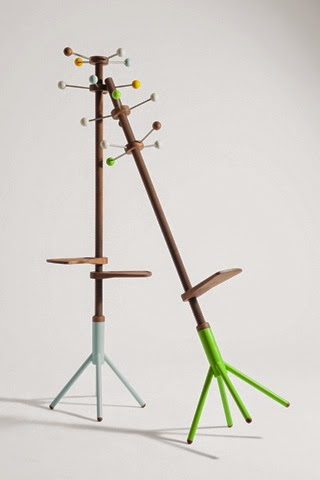 The award-winning Thread Family by Flip Sellin has a new member: the playful Thread Garderobe with perfect family-friendly ergonomics. 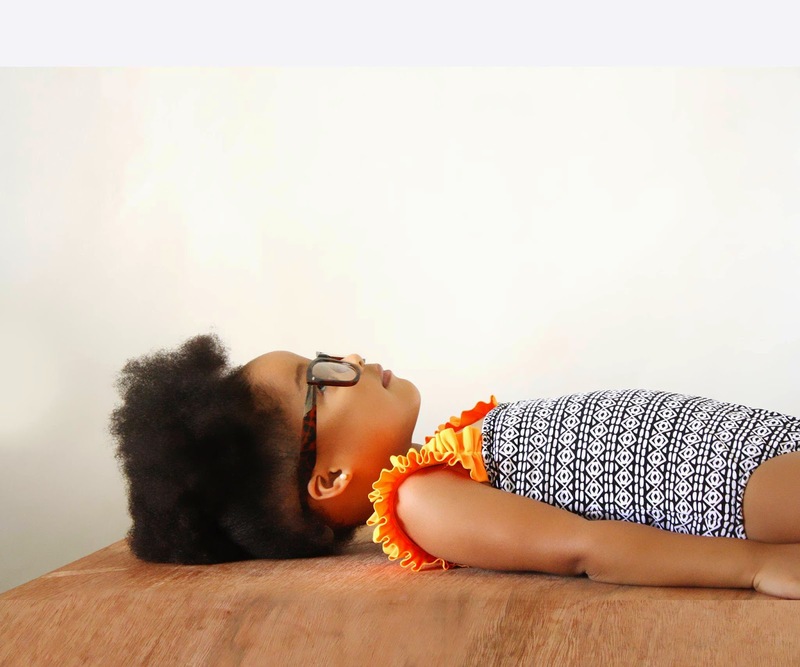 San Sarai Wear is a Trinidadian-based clothing company which is geared toward mini fashionistas. Their Anemone collection is inspired by colour and the line aims to make dressing toddlers and children easier and more fun for parents while ensuring that the clothes the children wear are comfortable. 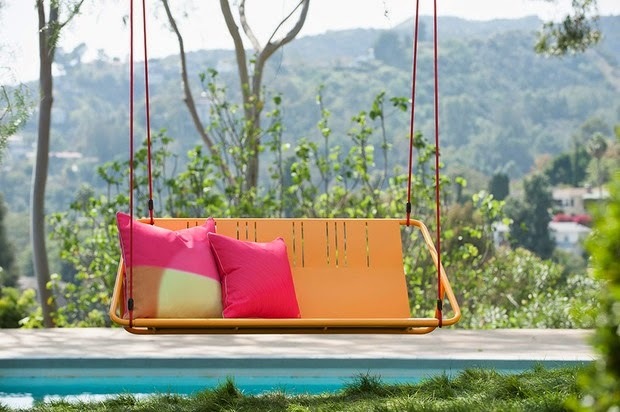 Based in Venice, California, Ilan Dei perfectly captures the region's quintessential laid-back, communal atmosphere with this Swinging Love Seat from its IDV Cruiser Collection of outdoor furniture. One of four new pieces influenced by the edginess and ingenuity of Southern California's Hot Rod culture of the 1950s and 1960s and one car in particular - the vintage Porche 356 Roadster - the love seat is made of aluminium, steel and fibreglass, and has a playful, retro feel. The chair is supported by a one inch diameter tube covered with an aluminium sheet. It attaches by a simple, nylon rope and is available in four colours: ice, marigold, mint and pacific. 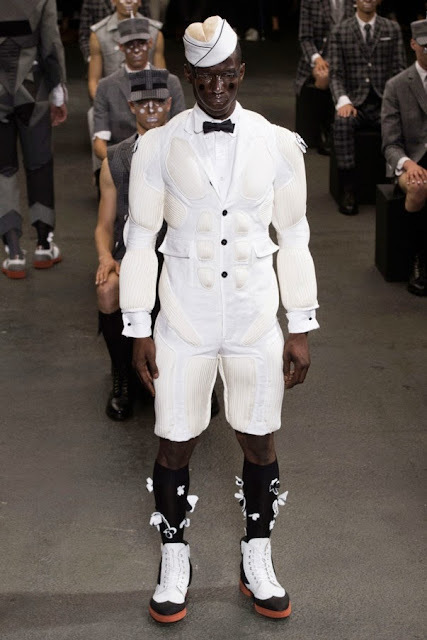 Veering between an angular, robotic silhouette and human anatomy (complete with sinewy muscles), Thom Browne's recent collection for Spring 2015 was heavy on clashing but complimentary pattern and print. Padded, shrunken jackets and cropped trousers in plaid and patchwork were topped off with brimless hats reminiscent of those worn by ice cream vendors. Australian designer Nikolai Kotlarczyk of CZYK, is behind this chair called Fold which is intended as an exploration of single material production of public outdoor furniture. 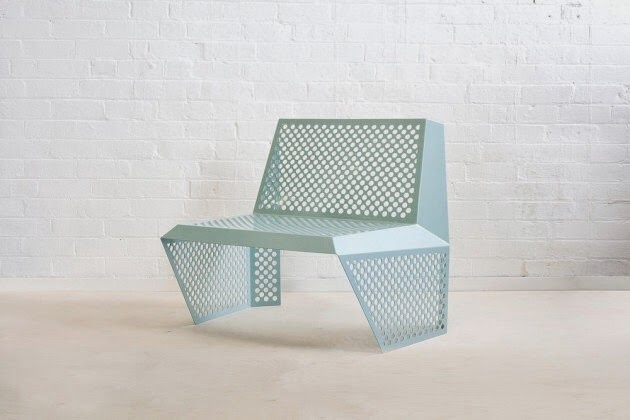 The chair is both strong and durable (as is required for public furniture), but still manages to have a "visual lightness" due to the surface perforations and its material composition. Fold is made of powder coated 2mm steel and is also available in a brushed steel version which makes it ideal for coastal conditions. 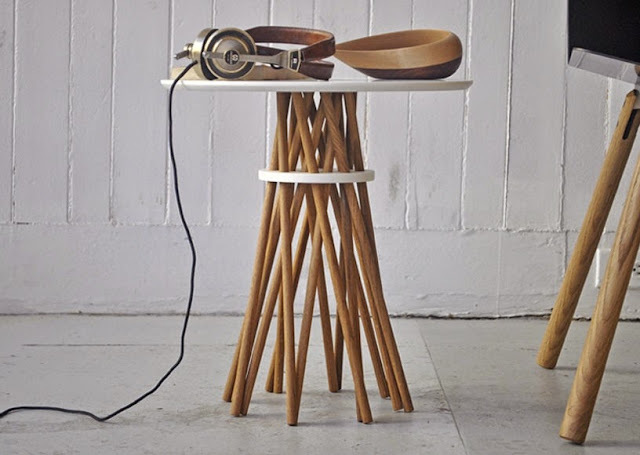 Reminiscent of a stack of twigs bundled together for kindling, is this side table available from Ampersand. With its elegant but causal feel, the interwoven elements of the table are friction-fit to create a sturdy frame without the use of hardware or adhesives. Bundle may be used as an accompaniment to living room or lobby seating and it also makes a charming nightstand. The table is available with a white Corian tabletop and support disc, paired with either black walnut or white oak dowel legs, or with a black Corian tabletop and support disc and either black walnut or hard maple dowel legs. Bundle is hand-made in Cincinnati using American-sourced materials. An immediately identifiable rectangular shape forms the basis for this highly versatile, if unusual-looking chair designed by Ola Giertz and produced by Materia. 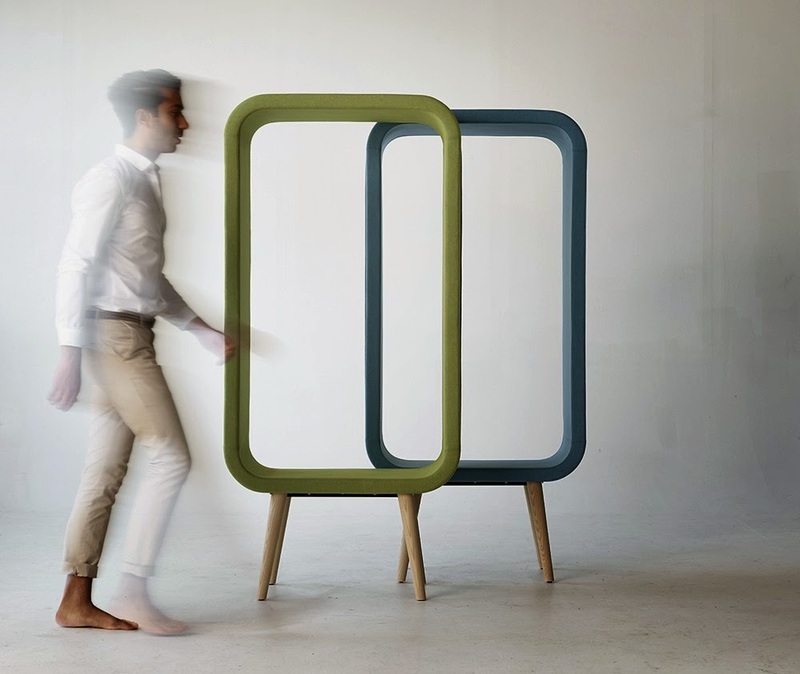 Called Frame, the chair operates like a three-dimensional picture and frames the person who sits in it making the user a focal point. You can sit on Frame in a number of different ways: in the middle like a pallet, sideways like an easy chair or against a wall in a more conventional manner. The chair can also be sat on from two different directions making it useful in small spaces as a form of room divider. Placing several of the chairs next to each other creates a tunnel and gives the feeling of being in a room of its own. The chassis consists of a moulded wooden frame which is covered with foam and fabric, the chair also absorbs sounds. The base consists of four wooden legs lathed in ash. Have a look at these adorable mary-janes from Spain's Eli 1957's Papanatas line. Available in a rainbow of colours and several different materials but always in a classic style, the shoes are handcrafted from the finest materials and made to last. Although it's two years old, we liked this collection from St. Vincent and the Grenadines designer Peta Odini Sutherland enough to feature it here. 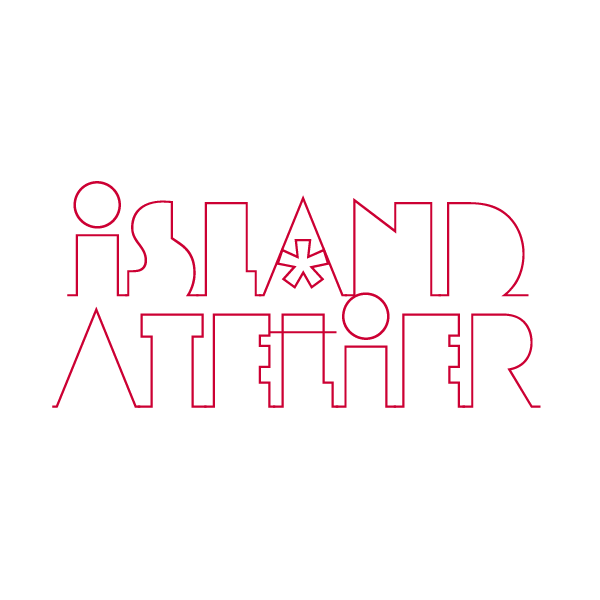 Called A Wayward Journey, the collection reflects her island roots using bright colour and patterns on contemporary silhouettes. Odini got her start as a textile print student, but switched to menswear after doing an elective unit. A Wayward Journey is an expression of the vibrant Caribbean spirit that the designer grew to appreciate during her absence from home. 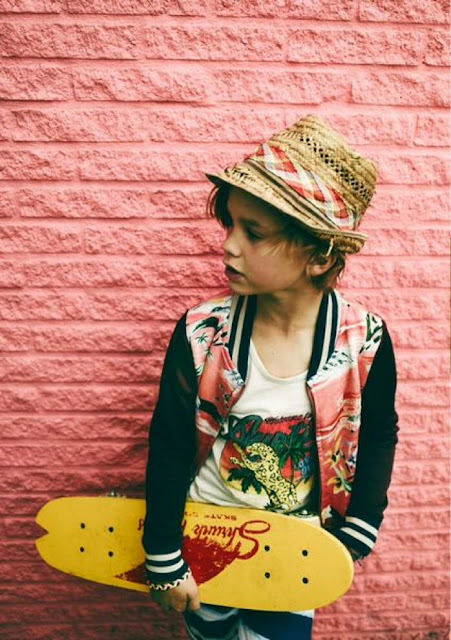 Interesting clothes for boys do exist! 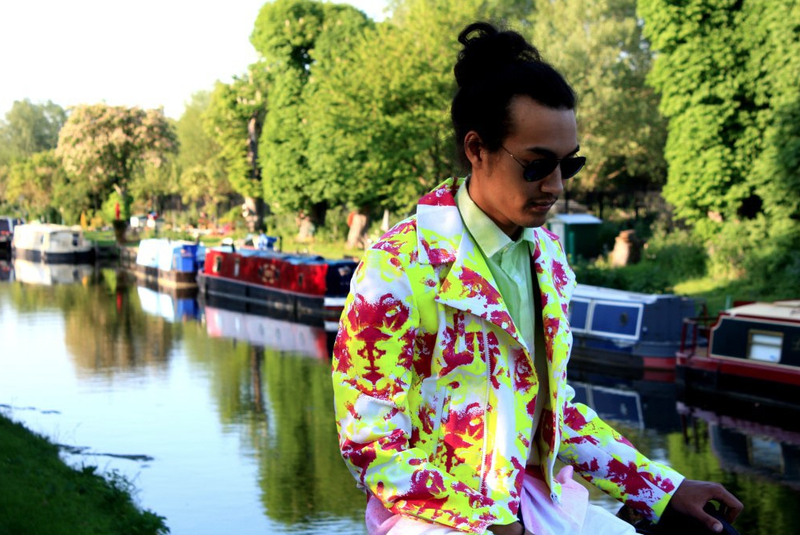 Case in point is this offshoot of Dutch fashion label Scotch & Soda called Scotch Shrunk. The line seeks to push the limit for boys' clothing and this season, in a nod to Brazil, the clothes have a distinctly tropical feel with imagery featured on bomber jackets, shirts and shorts. 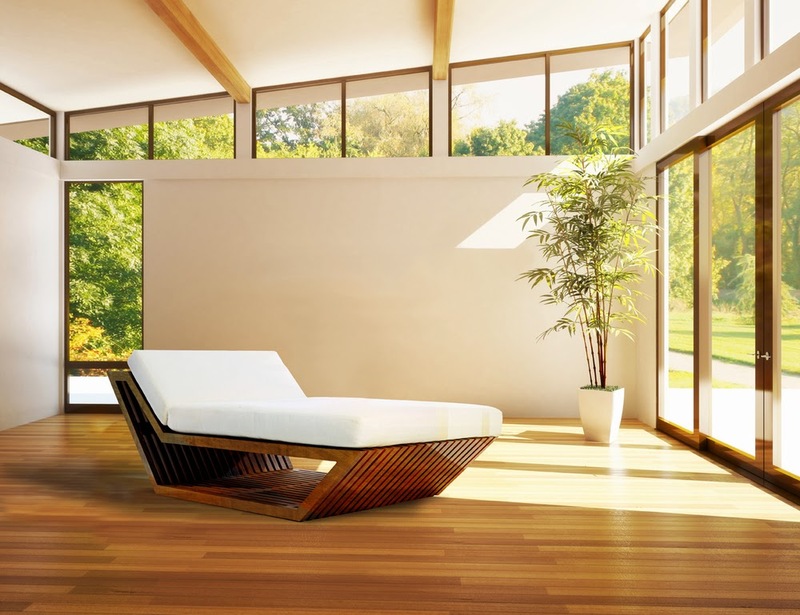 The Jet Lounger from designer Scot Sardinha is a modern, geometric lounger designed in the skeletal version of the stack style. The version pictured comes with a four inch thick upholstered cushion and an ebony finish but custom finishes and fabrics are available. 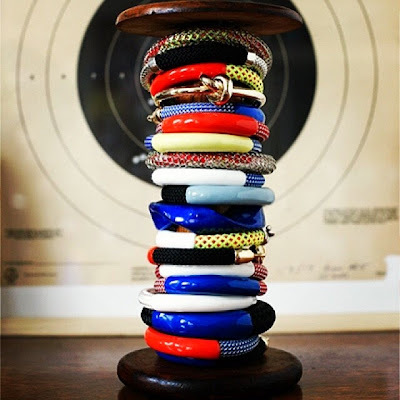 These enamel coated rope bracelets with plated pewter hook from Orly Genger by Jaclyn Mayer are designed to be worn around the wrist or ankle. Soft Box Studios and Art Gallery in Trinidad and Tobago presented an exhibition in June of this year entitled Dwelling by Trinidad-based, Jamaican artist Clayton Rhule. 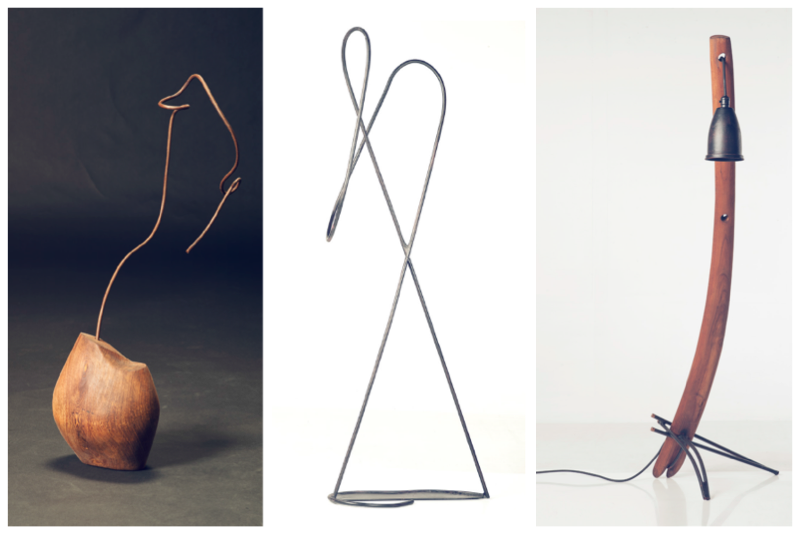 Working in wood and metal, Rhule reinterprets commonplace shapes and functional, everyday objects, using them as a base to envision and create work which responds intuitively to the spaces in which the objects exist. His intention is to create a story about himself and also to get the viewer involved, by triggering personal, cognitive and affective connections to the artwork. Thread Trestles is a minimalist design created by Germany-based Coordination. 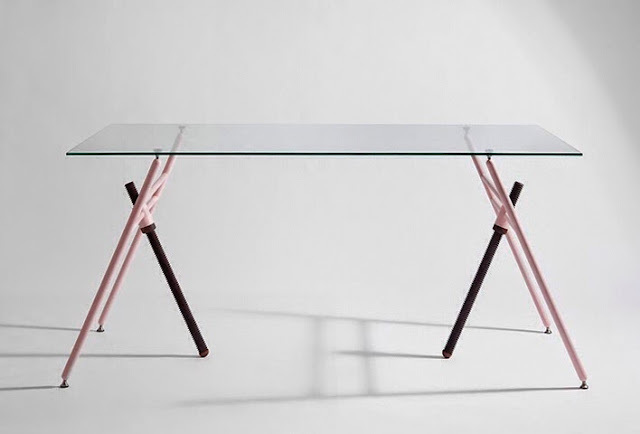 This new take on the traditional trestle table is the newest addition to the Thread 'family' which already includes stools, a bistro table, a wardrobe and a desk. Here, the height of the table may be adjusted by the use of a lathed and threaded leg to suit the needs of the owner. A tubular steel structure holds the threaded wooden leg and provides support for the table top which vary in size. 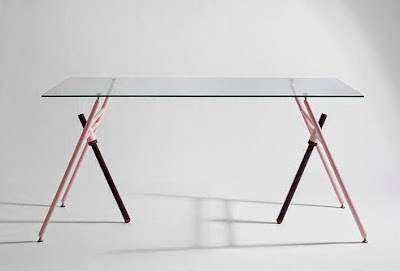 Designer Flip Sellin has painted the steel arms in a soft pink colour he calls Creamberry to add another distinctive characteristic to the table and to complement the oiled walnut wood of the treaded piece. 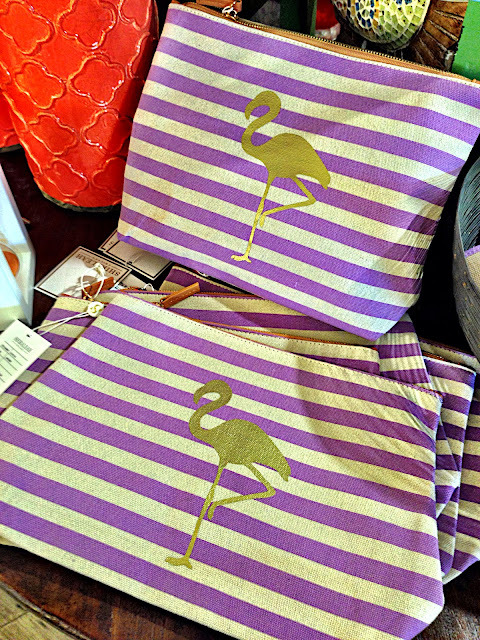 Flamingo pouches at ESC Limited. 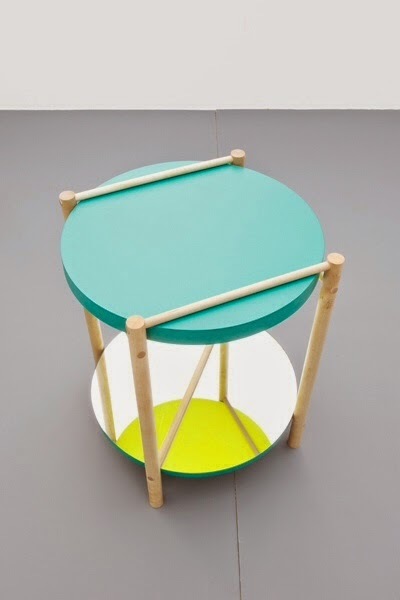 In a quest to explore the interaction between the horizontal surface of a tabletop and the vertical support of the legs and the manner in which they interact with each other, Canadian designer Lukas Peet has created this prototype called the Village table. The designer used a configuration inspired by log cabin construction to hold the table top by embracing it within the legs, while opposing horizontal supports add stability to the construction. The mirrored shelf reflects the bright yellow of the underside of the table, adding a touch of whimsy and elongating the legs. The Village table is made from Maple Hardwood, Mirror and painted MDF.